Paradise Tree Farm has been one of the leading retail and wholesale tree farms located in Seville, Ohio serving landscape contractors, wholesalers, retail garden centers, and municipalities for over 23 years. 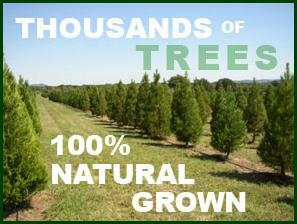 We have over 60,000 trees in stock including Shade Trees, Ornamentals, and Evergreen Trees. Over the past 23 years of business we have learned the importance of what it takes to grow quality trees. Paradise Tree Farm is here to not only inform you on the trees we carry, but to give you a bit of information about our products. You will find general information about the species of trees for our three categories. If you are interested in viewing our specific product list of trees, please select the appropriate button to your far left. Wholesale customers will be given a password to view the product list provided by Paradise Tree Farm. Please contact us for more info.